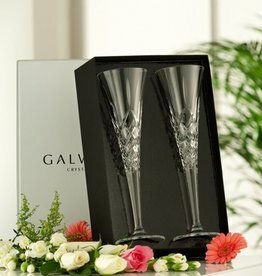 Galway Crystal has long been one of the world's best known and loved brands of traditionally crafted crystal. 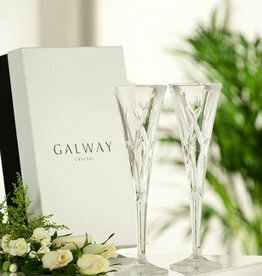 Nestled in the heart of West Ireland, on the shores of Galway Bay, Galway Crystal is steeped in the rich and diverse heritage of this unique hinterland. Inspiration comes from the sheer beauty of the surrounding countryside and from the wealth of history and folklore synonymous with Galway. 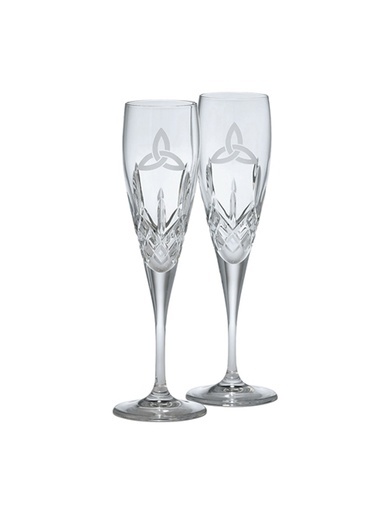 Lovely toasting flutes etched with the Celtic trinity knot. 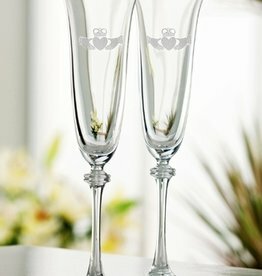 Makes a great gift for the bride and groom. 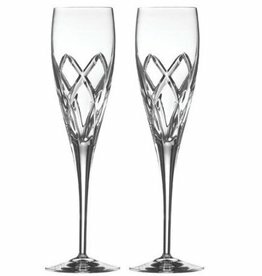 Sold in pairs, each glass measures approx. 10 inches tall. All engraving is done in Ireland. 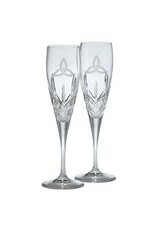 Galway Crystal ships from Ireland and comes gift boxed. Named after the County Longford, in the midlands or Ireland, a Viking town literally translated as "long port". The longest running Galway pattern, this suite proves popular from generation to generation. Set of 2. Comes gift boxed. 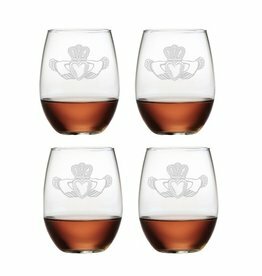 Add a classic touch to your table with this stemless wine glass, showcasing sand-etched Claddagh detailing! 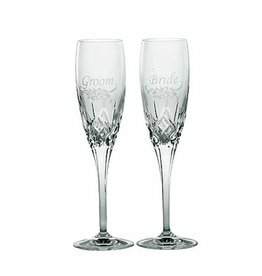 Beautiful Galway Crystal Bride & Groom Toasting Flutes! This pattern channels the mystique of so many magical places in the land, Newgrange, Tara, the Causeway and many more. 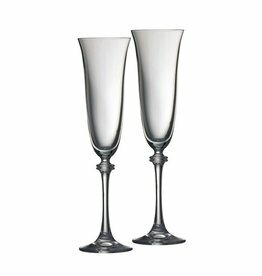 Toast a special occasion in style with the Galway Crystal Mystique Romance Flutes (Pair).